Excellent guide who explained the history of Singapore during a leisurely walk along the river bank and a very nice afternoon tea at the Fullerton Hotel giving us a break from the heat in the cool air conditioned hotel. This was a very good tour the tour guide was very knowledgeable, I throughly enjoyed hearing the history of Singapore.Had high tea at the Fullerton, and the bum boat ride on the river....a magnificent day. This tour is highly recommended.  We booked online and got an instant confirmation. Although our hotel was not on the list we arranged for a pick up and it was prompt and the driver polite and organised. We headed to the tour centre where we were warmly greeted by our guide who led us to the tour bus. We had a brief overview of the excursion as we drove along. The first stop was a boat ride. The boat was beautiful, with polished timber, comfortable and the boat staff eager to help with photos. It was great to learn about Singapore's history as we travelled along the water and we enjoyed close up views of Singapore and its iconic buildings. 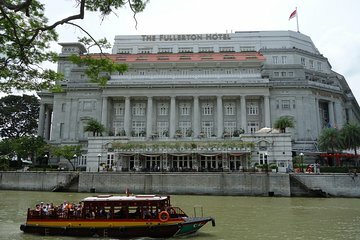 Then we stopped at The Fullerton Hotel where we were guided to the courtyard, where High Tea was served. We had a table of 6, the service was excellent and the food visually stunning and tasty. After High Tea we had time to walk around the hotel and check out the gallery where we saw how the Singapore landscape changed over time. Our guide even arranged for us to post a postcard from the hotel. After the High Tea we walked through an historic area in the city and learnt more about the city and its buildings. We have been to Singapore before but had never been to this part of the city. It was a great tour, the guide was very knowledgeable and made the excursion so enjoyable. The Tour East company never disappoints, its personal service is to be commended! Chris our guide was excellent and explained the heritage of Singapore along with more recent history facts. The afternoon tea was not for me hence the 4 stars instead of 5 stars however the setting in The Fullerton was stunning. The Gum boat ride was good again the significance and importance of the river to Singapore in the past was explained.